The famous Beijing Changan Grand Theater(Chinese: 长安大戏院), also named Changan Cultural Amusement Palace,well-known in China,was built in 1937,and rebuilt at its new place in the East Changan Avenue in Beijing in 1996. Situated in Guanghua-Changan Mansion in East Changan Entertainment Hall as well as teahouses, restaurants, bars, offices and guest rooms in different styles.It has 800 seats and has boxes for VIPs on the second floor. The front rows in the stalls comprised redwood chairs and tables, on which are teapots with hand-painted images of children, which recreate the atmosphere of a Ming of Qing-dynasty theatre.You can enjoy the wonderful performance of masters of Peking Opera here. Welcome to Beijing Changan Grand Theater. 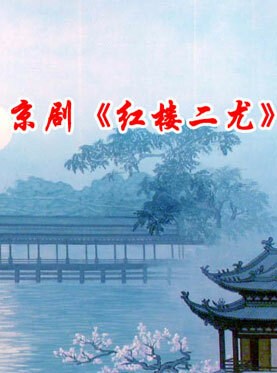 This operatic drama was adapted from the script of Chen Lingxi, a Chinese pingtan artist. During the reigns of Emperor Kangxi and Qianlong in the Qing Dynasty, the You sisters, Erjie and Sanjie, distant relatives of Jia Zhen, a dandy of the affluent and influential Jia House, visited the Jia House with their mother to celebrate Lady Jia’s birthday. Seeing that they were both gorgeous, Jia Zhen was moved to nurse the insidious intention of taking them as concubines. Taking advantage of their poverty, the dandy showed unusual benevolence. He offered to purchase a new house for the Yous and provide for them. With an unyielding temperament, Sanjie did not fall for the temptations. She fell in love with opera singer Liu Xianglian of a humble family background and turned a cold shoulder to Jia Zhen. Her elder sister, Erjie, however, had a weak character. Depending upon Jia Zhen for a living, she pandered to him on everything. Eventually, she was taken in by the sweet talking of Jia Lian, Jia Zhen’s cousin who had returned from a trip, and got married to him as concubine. Jia Zhen tried to play the carrot-and-stick trick with Sanjie, but she would not budge and rejected him bluntly. The girl told Jia Zhen that she loved Liu Xianglian and would marry no one else. Jia Zhen held a grudge against her. Sanjie returned to the countryside after the opera singer.